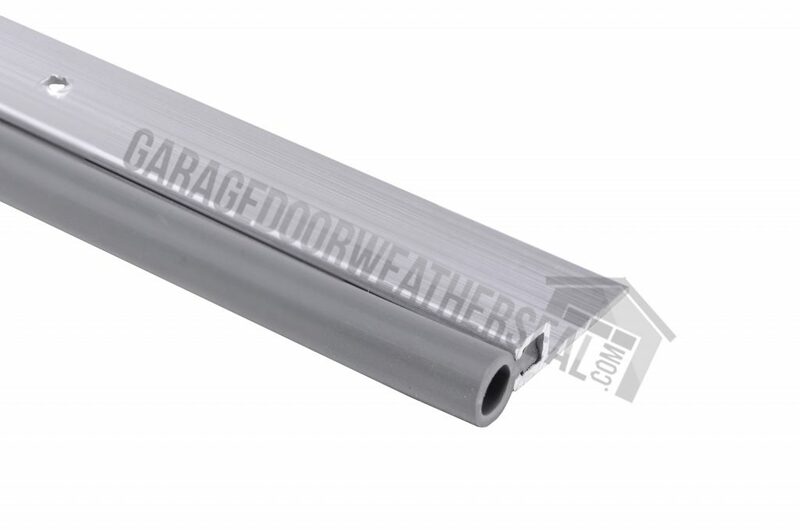 View cart “DOOR SEAL” has been added to your cart. 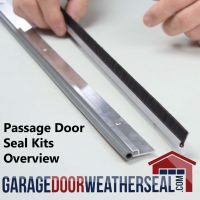 Professional grade Entry Door Weatherstrip Seal kit. Complete kit, top sides and mounting hardware. Mill finish Aluminum with vinyl bulb seals. 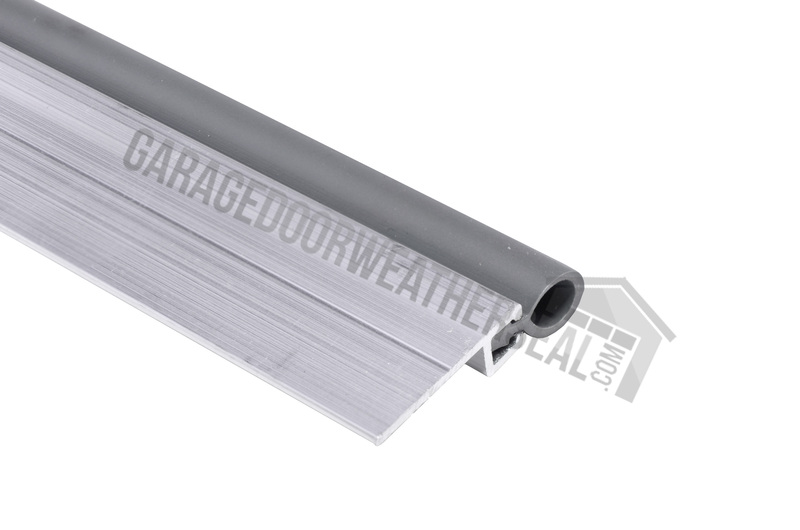 Vinyl bulb compresses against top and sides of door to form a weather tight seal for any residential or commercial entry door. All season protection against drafts, moisture, dust and insects. Install the top piece first. Measure the width of the door opening at the top with the door open. Lay the top length of entry door weather stripping on your work bench and mark the aluminum using a pencil and a square. Pull the weather seal back so that you are cutting just the aluminum. Use a hack saw with a steel cutting blase to cut for best results and a nice clean cut, you can use a miter box as well. Cut the bulb seal with a sharp utility knife approx. 1/4″ longer than the aluminum, you may need to further trim the bulb seal during installation. Now hold the top length in place to check the fit and if it is good, mark both sides so you can measure the side pieces. Hold the top tightly to the top jamb and mark the side jambs. Now measure and cut both sides, again leaving the bulb approx. 1/4″ longer than the aluminum. Close the door. 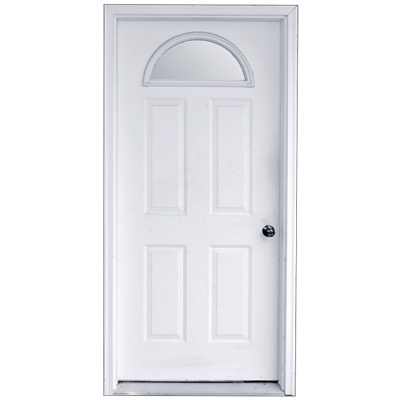 It is good to note at this time if there is play in the door when closed, that is, can you move the door into and away from the door stop, is the door closed firmly or is there play in the door to the door stop on the outside of the door. You need to take any play into consideration when installing the entry door weather stripping. 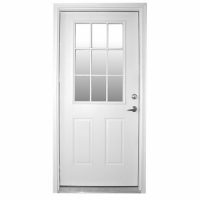 If there is a lot of play in the door when it is closed it is advised to address that issue before installing the seals. The strike plate on the jamb is a good place to adjust if needed. You want the door to close solidly with no or very slight movement w/o the weather seal installed. Close the door and install the top length of weather stripping, trim the bulb seal as needed to insure a tight fit side to side. You want slight compression of the bulb seal when the seal is installed. Now install the sides, again, trim the bulb seal as needed , here as well you want slight compression of the bulb seals when installed. After all the fasteners are in place, open and close the door. Check to insure that the seals are contacting the door all along the door and that the bulb seals are slightly compressed. 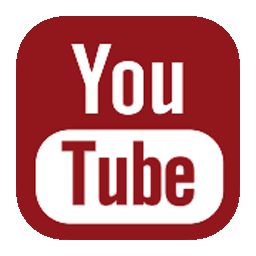 We have video of this and all our product that will give you a good look at the product, also see the line drawing. If you have any questions or need help with a bulk order call or email us, we’d be happy to help you.